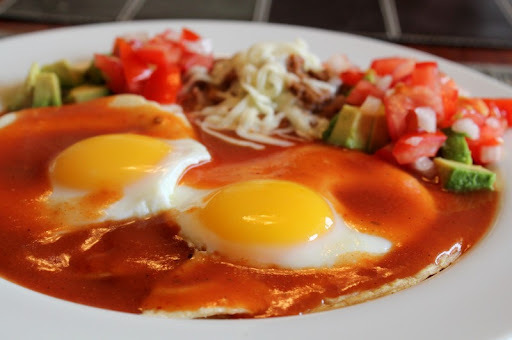 I've eaten a lot of different versions of Huevos Rancheros over the years - sauces ranging from thick and tomato-y to loose and runny, from chunky with vegetables to uniformly smooth, from mild and savory to knock your socks off hot. Making Huevos Rancheros at home, we've had a lot of variation as well. Our current standard is a fairly loose, uniform sauce. We use our Taco Shop Hot Sauce as a base, and thin it out with some chicken stock and tomato. Sometimes we add in some bits of Hatch green chile. Heat-wise, we like it on the distinctly warm side - plenty of chile bite to tingle the tongue and clear the sinuses. We generally accompany it with refried beans, pico de gallo and some avocado. I don't know of a better way to start the day. Put the ranchera sauce in a saucepan to heat. Spread a thin layer of lard on the tortillas. Bring a dry pan to medium hot and heat the tortillas one at a time until they are soft and aromatic. Add the butter to a frying pan over medium heat. When the bubbling subsides, crack the eggs into the pan. Pour the water into the edge of the pan and cover with a lid (preferably glass, so that you can see the eggs). Remove from the heat when the whites are just cooked and the yolk is still runny. For each serving, place two tortillas on a warmed plate. 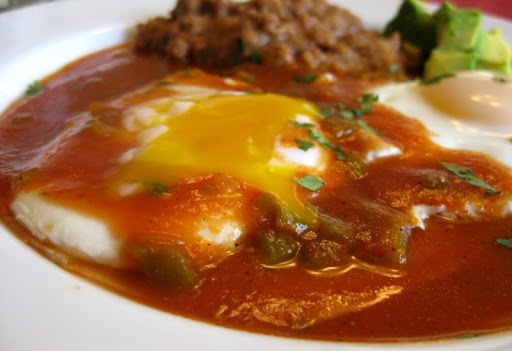 Top with two eggs and then the ranchera sauce. Add hot sauce, tomato sauce and chicken stock to a saucepan and simmer for about 15 minutes until it thickens slightly. 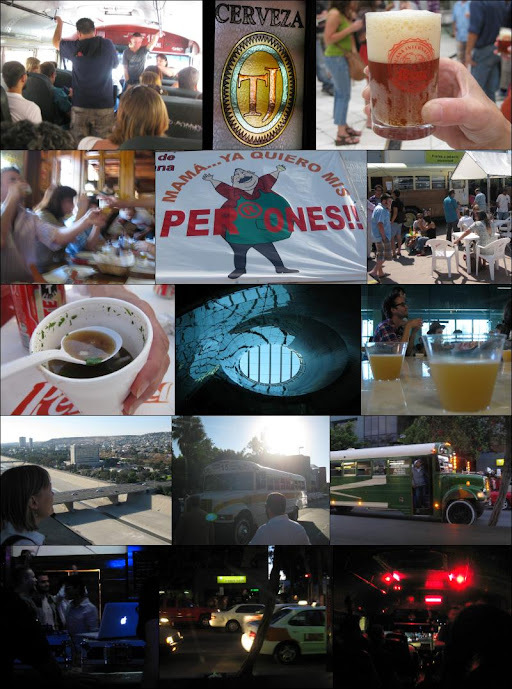 This past Saturday, we spent the day with Turista Libre riding around Tijuana on a bus. Good times were had by all. We need to get over the border more often.